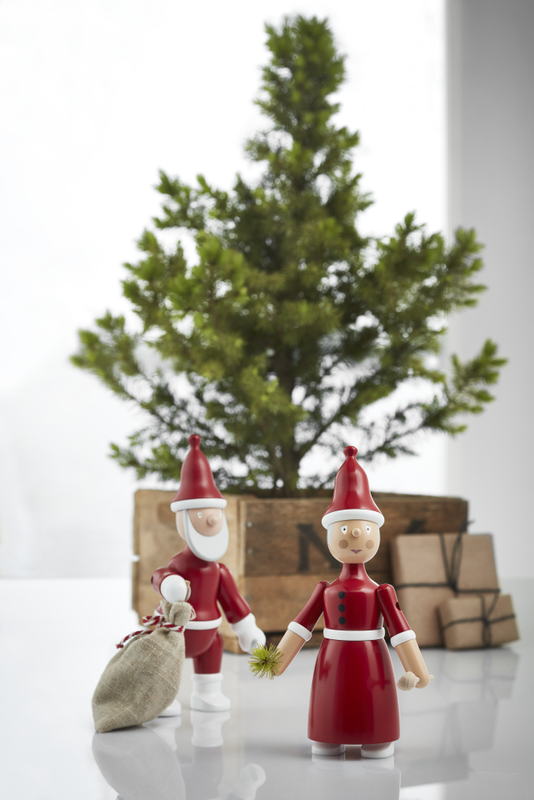 Ever since Kay Bojesen Denmark brought Kay Bojesen’s round-cheeked Santa Claus back out of the design archive in 2013, the whimsical wooden figure has occupied a fixed place in the Christmas hearts of design connoisseurs and Santa fans alike. With his pearly white beard, bright red jumpsuit and sackful of delights, he charms his way into even the most minimalist home, just like Kay Bojesen’s other wooden designs, acclaimed for their smiling lines and infectious humour. Even a celebrated Santa Claus can get tired of the bachelor life, however – so Kay Bojesen is now giving dear Santa an authentic Mrs Claus, with soft curves, red cheeks and firmly gripped wooden spoon to keep Santa company and stir the rice pudding once the day’s batch of presents has been delivered. Mrs Claus is a new design, created if not by Kay Bojesen’s hand, then 100% in the spirit of Kay Bojesen and in close collaboration with the designer’s heirs. Many of Kay Bojesen’s wooden figures were created to live in groups – from the brightly coloured songbirds to the monkeys, guardsmen and dogs – and of course Santa should also be allowed to experience the joy of being part of a couple. 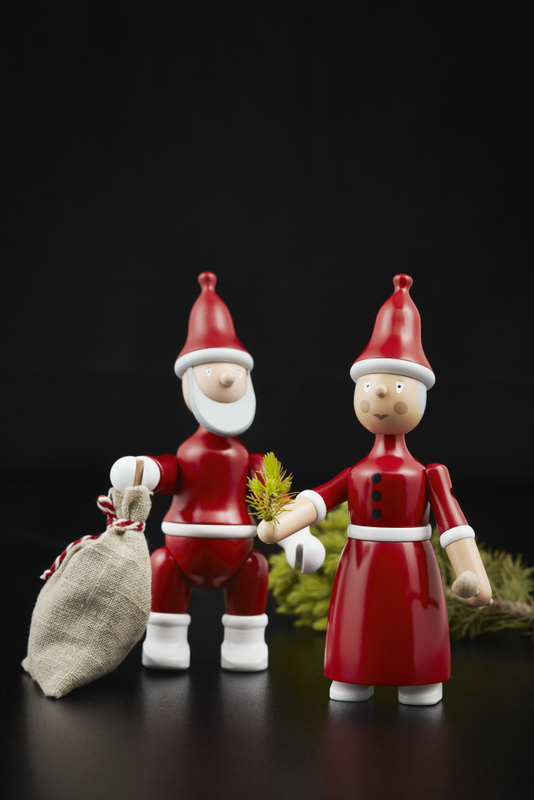 As a feminine model of Santa, Mrs Claus has the same smiling, lifelike wooden lines so typical of Kay Bojesen’s woodwork, fitting neatly into the crossover between fantasy figures and design objects. Mrs Claus is full of sweetness, too, and is sure to bring instant Christmas cheer as she arrives on desks, windowsills and nooks and crannies of wintry homes – as a supplement to her better half, Santa Claus, or on her own, as she starts her own traditions full of Christmas karma and girl power.